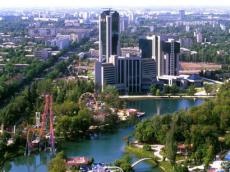 Uzbek government intends to enter top 20 countries in the "Doing Business" rating of the World Bank and International Finance Corporation by 2025, Trend reports with reference to the President’s decree. Uzbekistan dropped two positions by 2 points and took 76th place in the Doing Business-2019 rating. Nevertheless, the country has become a leader among the countries of Europe and Central Asia in terms of improving the conditions for doing business. Uzbekistan rose immediately to 13 points and ranked 74th in the Doing Business-2018 ranking. Currently, the authorities are planning to strengthen the position in the rating due to the simplification of a number of business procedures from March 1. Among the innovations - banks can remotely open bank accounts for legal entities. In "Doing Business-2019", Uzbekistan improved its performance in such areas as taxation, international trade, property registration, and obtaining building permits. The decline in indicators was recorded in obtaining loans, connecting to power grids, resolving insolvency, protecting minority investors.